Professional Cosmeti c Wholesale ARTEX- A place where you will find professional cosmetics and equipment for your beauty salon. Artex guarantees the best quality of products and equipment. In addition quick and effective service. This place will help you before your purchase and after. Serves the best advise and shares their long time experience with their customers. An American brand of top quality products for nail artists. The modern and trendy formulas offer unlimited possibilities for decoration, creating nail art designs and working with the product in the salon. When creating new collections of products for nail care and decoration they draw from the latest trends from NYC – the world capital of fashion and design. 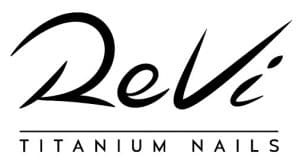 Revi Titanium Nails is a professional cosmetics brand offering products for titanium manicures. It was introduced in Europe in 2015 and it immediately stole the hearts of manicure professionals. Revi Titanium Nails products are safe for our health and were created based on years of meticulous studies carried out by leading experts. 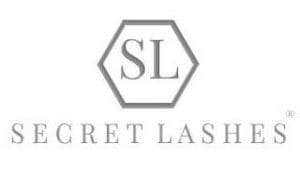 Secret Lashes is all about best quality of products and accessories for eyelash styling. Company is also offering training courses for future stylist. Our Academy gives opportunity to meet up with SL instructors that will guide you through the training and will stay in touch afterwords. In our Academy you will also have a chance to meet with instructors from Eye Designer Academy. Professional eyelash density or extensions process is a very precise and artistic one. You will have a chance to practice and learn under EDA instructor’s supervision. Along with professionals we will help you to improve your skills, try to inspire and advise you, as well as pass along our best knowledge. a worldwide leader, author of patented technologies, producer of permanent make-up devices. As a result of merging three personalities such as engineer full of enthusiasm for creating new solutions, artist with artistic sense as well as experienced cosmetologist in permanent make-up two entirely new pigmentation techniques were created: microblading, today leading trend in brow pigmentation – TAFFY – a technique that gives natural hair stroke effect, and 3-needle ODED skin non-tearing pigmentation technique of lips, eyelines and brows.